Duane Cole (1915-2004), EAA 8, was a flight instructor, author, aerobatic instructor, and air show performer. 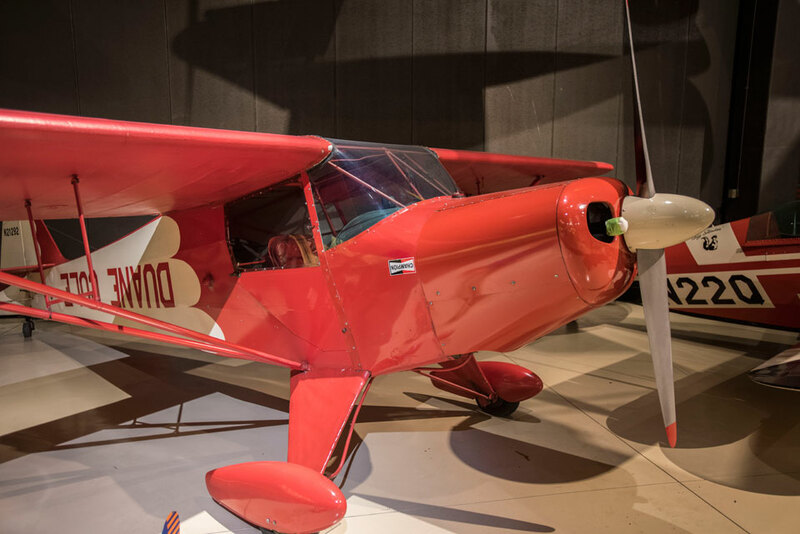 His trademark Taylorcraft, with his name written upside-down on its fuselage, was a common sight at air shows around the U.S.
Cole took his first flying lesson in 1937, on Christmas Day. He earned his private pilot certificate in 1938, his commercial certificate in 1939, and his instructor certificate in 1940. He also flew his first air show in 1940, launching an aerobatic career that spanned more than 50 years. From 1940 to 1955, Cole taught aerobatics to students in the Civilian Pilot Training Program, and to cadets in the U.S. Army Air Force and the British Royal Air Force. After World War II, Cole and his brothers Marion, Arnold, and Lester formed the Cole Brothers Air Circus. The name was quickly changed to The Cole Brothers Air Show to avoid a legal conflict with the popular Cole Brothers Circus. 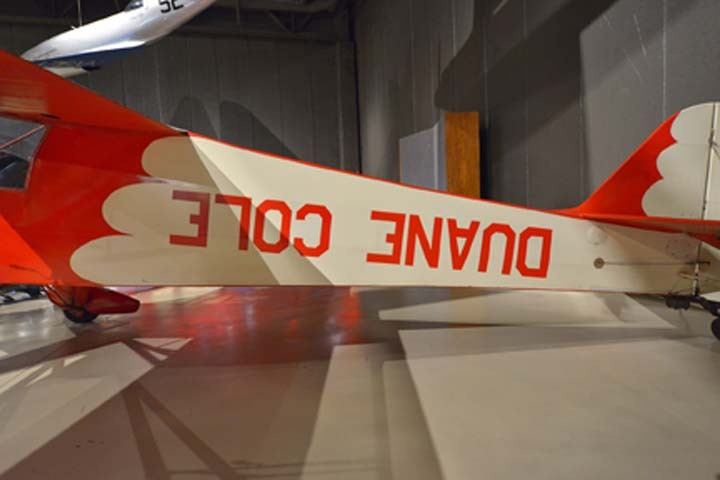 In 1951, Cole was one of 12 men who gathered in Milwaukee to form a new airplane builders club that, two years later, became the Experimental Aircraft Association. 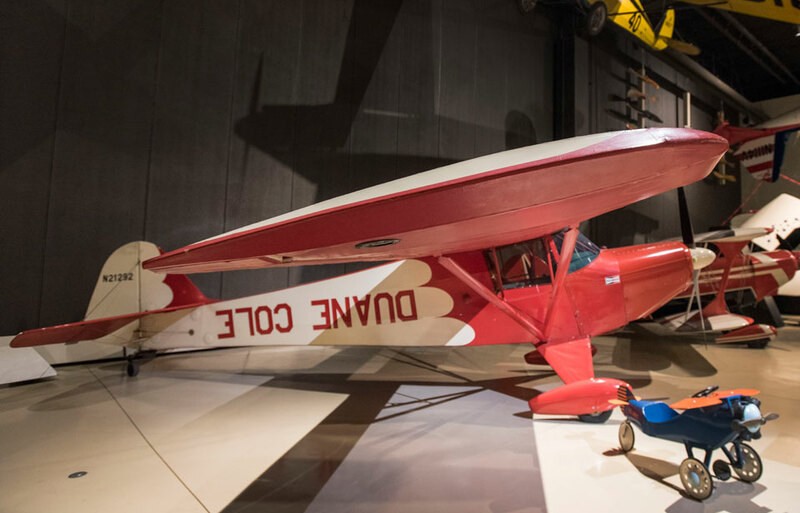 Cole’s Taylorcraft, a BF-50, was built in 1938. In 1950, it was acquired by John Vasey, a well-known aerobatic pilot and air show performer. Vasey shortened (clipped) the wingspan from 36 feet to 28 feet, 10 inches and strengthened the wings. That gave the airplane more speed and a faster roll rate. 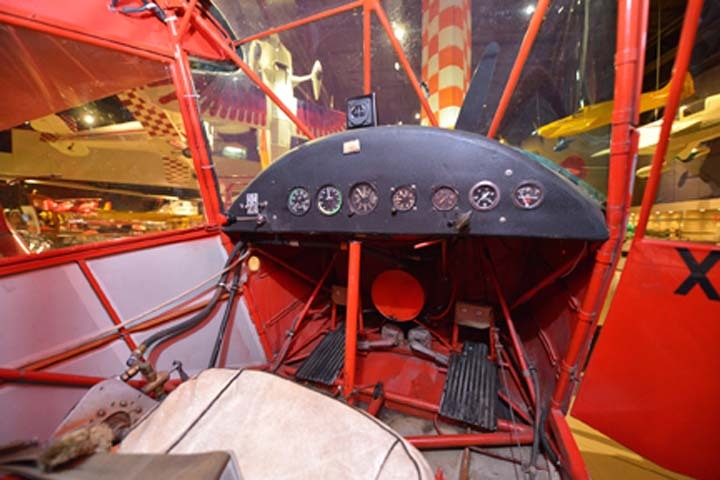 Vasey also moved the pilot’s seat and controls to the center of the cabin, making the two-seat BF-50 into a single-seat airplane, and shifting the airplane’s center of gravity. Finally, he replaced the original Franklin 50-hp engine with an 85-hp fuel-injected engine. His modifications turned the docile BF-50 into a powerful and agile aerobatic performer. Cole bought N21292 from Vasey in 1952 starting one of the longest running aerobatic “partnerships” in history. 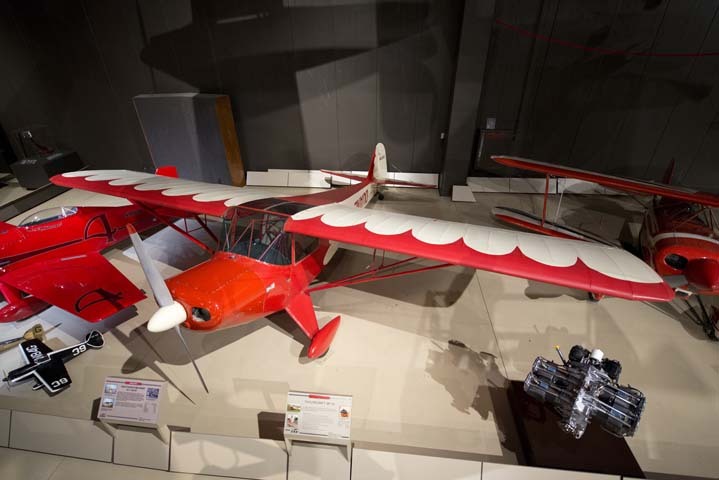 Cole and his signature red and cream Taylorcraft entertained millions of air show spectators in 47 states and five foreign countries. He installed a new 150-hp engine on the plane, but otherwise left the basic structure and Vasey’s modifications unchanged. He had little use for radios or instrument flying, and flew all over the U.S. using pilotage and dead reckoning skills. 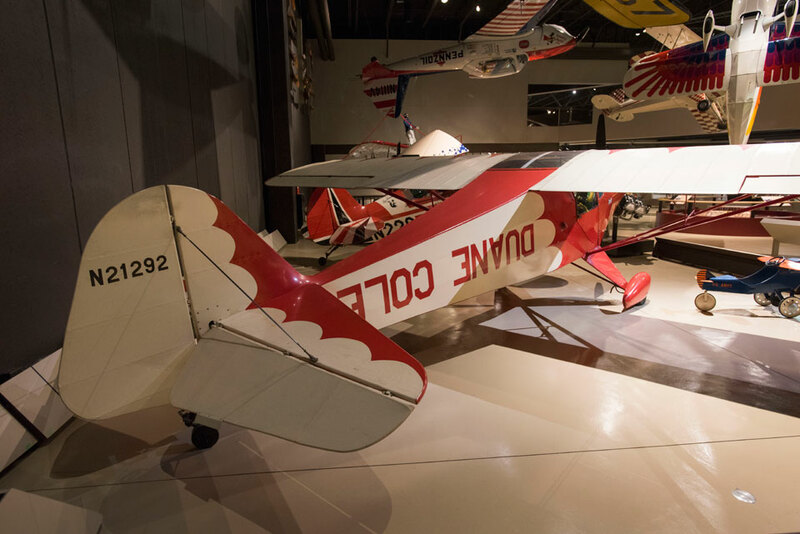 In 1962 and 1964, Cole flew the Taylorcraft to win the U.S. National Aerobatic Championship and was named to the U.S. aerobatic team in 1962 to compete for the international title in Budapest, Hungary. Owned and operated an aerobatics school from 1967 to 1987 and authored nine books, produced several videos, and wrote a monthly column for Flying magazine. Won many writing awards, including the Aviation/Space Writers Association Writer’s Award for Nonfiction in 1972 and 1974. Introduced the “pace plane start” at the 1963 Phoenix 100 Air Race and the 1964 Pendleton 100 Air Race, similar to pace car starts at the Indianapolis 500 automobile race. Organized and ran the first Reno Air Races in 1964 and served as Reno’s race director through 1967. Inducted into the Illinois Aviation Hall of Fame (1983), the International Aerobatic Club Hall of Fame (1987), and the International Council of Air Shows Hall of Fame (1996). 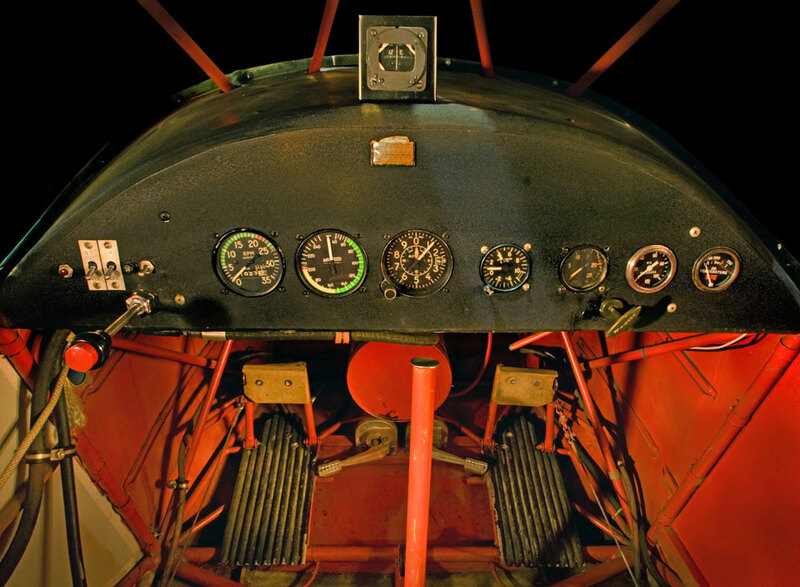 Cole died of natural causes at the age of 89, with more than 30,000 hours of flight time.